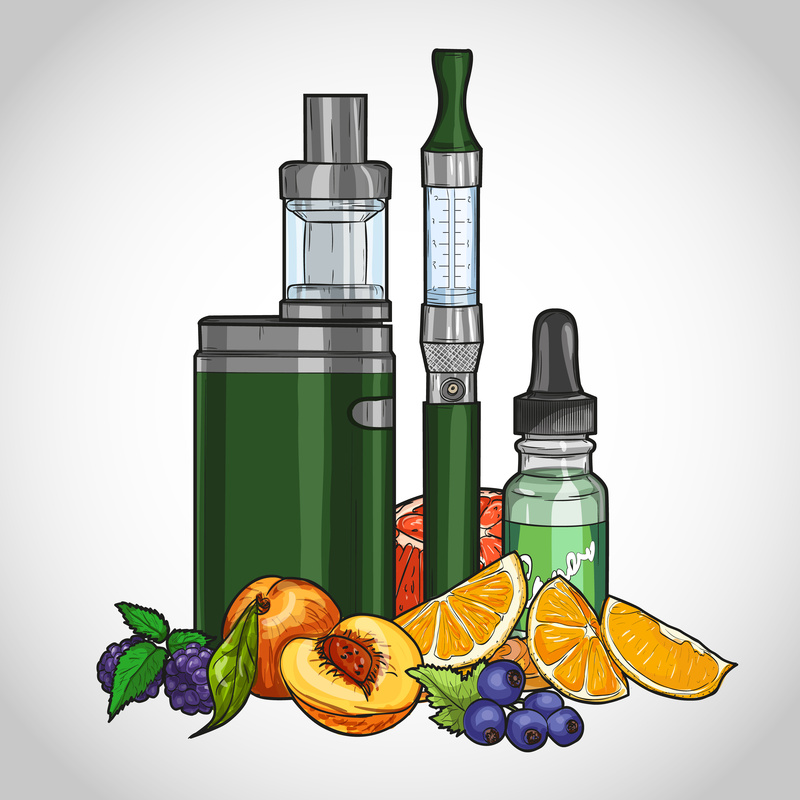 There have been plenty of rumors and reports circulating about organic vape juice, otherwise known as e-juice, and that there is no real “organic” to its name. Organic vape juice has risen in the vaping industry over generic types of e-liquid and for good reason. Organic is an honest form of vape juice and the benefits of choosing it over non-organic brands will have you switch over instantly. When people hear the word “organic” it’s always associated with food and non-GMO type products, normally from grocery stores and health food establishments. This is true for that industry, but in the vaping and e-cigarette world, organic has ties to this type of organic with good reason. The harm of using GMO and pesticides on our crops has resulted in horrifying studies of the effects, especially long-term. Why does this matter to vaping? E-juices are created from plant products, flavors extracted from natural resources and the quality of nicotine used in the e-liquid. Each of these can contain GMOs, depending on where they were farmed and the regulations that farm followed with the USDA. GMOs are legal in the US, the only country to still have it legalized. If you purchase your e-juice from a local gas station or convenient store (even some vape shops), there is more of a chance that they contain GMO ingredients. That’s why it’s important to research the best vape shops and what exactly they use for creating, or buying, their vaping e-juice from a distributor. There are few vape shops, online or a physical store, that follow the guidelines of non-GMO e-liquid. This also includes harmful pesticides that are sprayed on the crops to keep them from being eaten by local insects. For the vape stores that carry the seal of USDA organic, you can rest easy knowing that their care and safety regulations for their products are concurrent to the standards followed by organic retailers. With the sudden boom of e-cigarettes and vaping several years ago, the quality of items sold for them was less than subpar. At Real Organic Vapors, the quality, care, and standards are always set high to ensure your vaping experience is pure and clean from pesticides, GMOs, propylene glycol, chemical additives, and artificial sweeteners. For worry-free vaping, Real Organic Vapors is your choice for organic e-juice. A quick search online will show you that many vape stores don’t follow the same quality of service to their customers. Your health while vaping is essential to the success of organic vape juice and diverting from the harmful side effects that smoking cigarettes has done for decades. Shop the online organic e-juice store from Real Organic Vapors today!